The benefits of sustainable design are too often restricted to the financially well-off. But a new offering at the University of Minnesota is trying to change that. Habitat for Humanity of Minnesota (HFH-MN) builds affordable housing in partnership with people in need. 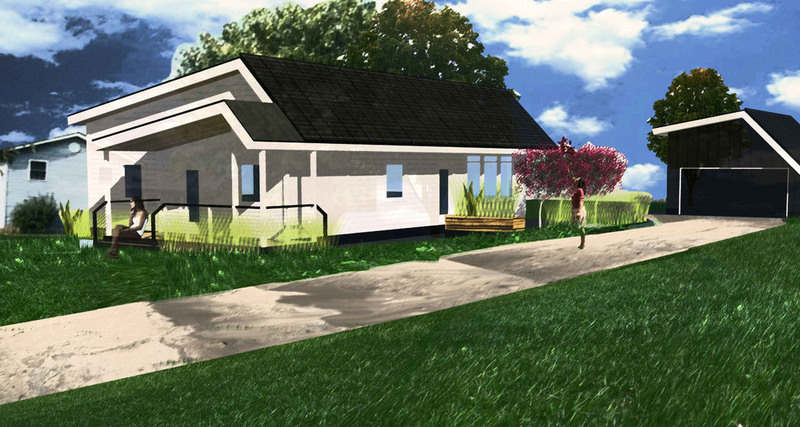 In a unique, hands-on opportunity for architecture and engineering students at the U of M, ALM Design Studio is leading a class to develop new sustainable prototype homes for HFH-MN clients, to be built in summer of 2011. The challenge: create structures that are “Net Zero,” meaning they produce as much or more energy than they consume, built using commonly available methods and within a reasonable budget. This class is a real-world testing ground for the latest ideas in cost-effective energy efficiency, bringing together expertise from across the University as well as practicing designers and engineers. The potential impact is tremendous—for Habitat for Humanity, for their clients, and for the students themselves. The best solution will become a prototype for Habitat building projects in 2011 and beyond, providing energy-smart homes to families who can benefit most from the savings.